Disclaimer: There is nothing authentic about this recipe. I’m from Iowa. 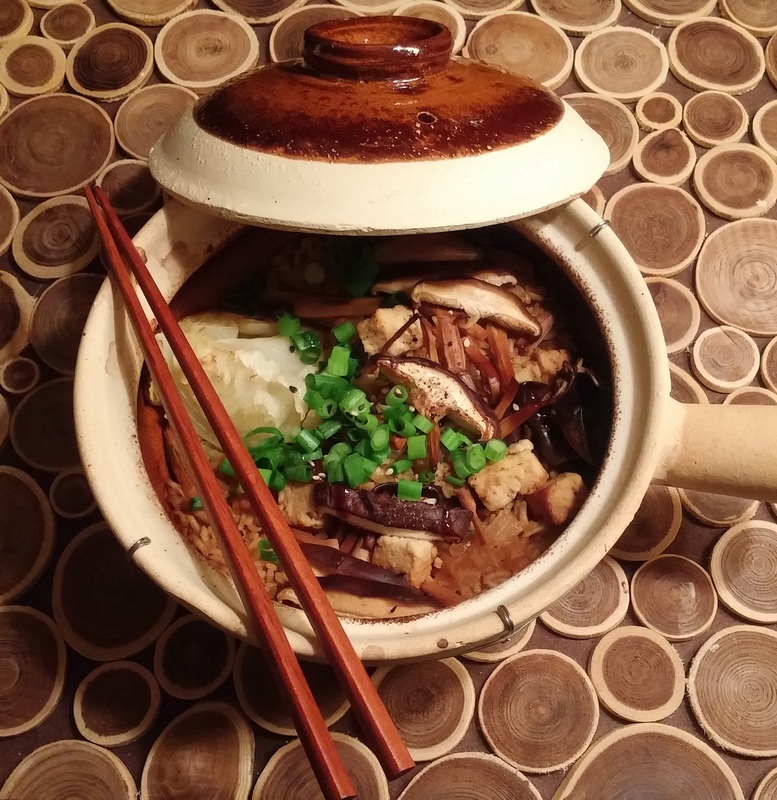 Although I love Thai food, and one day aspire to make an authentic Pad Thai or Pad See Ew at home, I’m still learning the best and most authentic Thai pantry items and cooking techniques. This is simply a recipe that I made up using Thai flavors. This dish was created (as many of my recipes are) to help incorporate more vegetables into my veggie-challenged family’s diet. It incorporates two of my my favorite techniques: cutting up the vegetables really small so it’s hard for them to pick them out, and adding some sweetness. 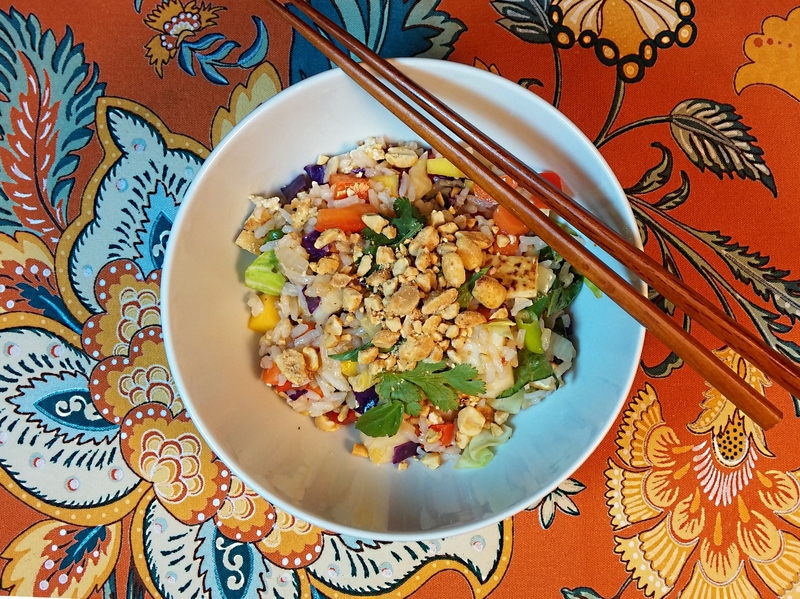 Mango provides the sweetness in this one-dish meal that incorporates leftover rice and Thai flavors like lime, cilantro, Thai basil, and chili. The dish also uses a specialty ingredient: fresh water chestnuts. Don’t worry if you can’t find them though, you can omit them or substitute canned water chestnuts. I’ve included some tofu in this dish, but some prawns or eggs scrambled into the rice could be protein alternatives. This dish is vegan without the fish sauce. This dish gets results. Only the tofu remained in the bottom of the bowl when I served this. All the veggies were gone. There is still work to be done on the tofu front. We’ll get there . . .